Supporting Members shall be entities or individuals doing business with a Member or Members of the Association that wish to be affiliated with Professional and Associate Members. Supporting Members can include but are not limited to vendors, equipment suppliers, funeral homes or employees of the above, etc. They may participate in all meetings and events and are eligible for membership discounts at all events. Supporting members cannot hold office, chair committees, make motions on the floor nor vote on any business of the Association. 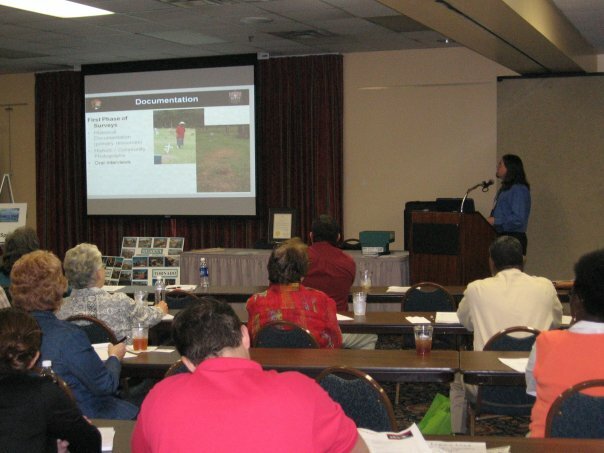 Professional Members shall be employed with a municipal or county government agency OR offices of a nonprofit cemetery association AND be directly involved with the management, administration or operation of one or more public cemeteries within the State of Georgia. Professional Members may hold office, serve on committees, make motions on the floor and vote on all business presented at the General Assembly of the Association. Associate Members shall be or previously have been directly or indirectly involved with one or more public or nonprofit cemeteries. Associate members may participate in all meetings and events of the Association, serve on committees and are eligible for membership discounts at all events. Associate members cannot hold office, chair committees, make motions on the floor nor vote on any business of the Association.